Weekly LGBT Wellness Asks: Are You No. 1? The CDC marked National HIV Testing Day on June 27, reporting that one in seven people living with HIV in the U.S. is not aware of their status – thus preventing them from getting connected to treatment. They also shared resources like a testing center locator, key facts, and sample social media posts for those looking to spread the word on HIV prevention. A study found that most trans-masculine individuals – who may be at risk for cervical cancer but who often feel excluded from being screened for it – overwhelmingly prefer a frontal HPV swab to a Pap test. Over 90% said this was their preference, finding it had benefits like being less invasive, although some expressed concerns about things like the alternative test’s accuracy. Movement Advancement Project published a report on incarcerated LGBT youth, who represent 20% of all people in the juvenile justice system despite being less than 10% of the overall U.S. population. Among those queer youth in the justice system, 85% were youth of color, and young queer women were also disproportionately impacted, making the issue an intersectional one. Researchers conducted a review of available studies on eating disorders and related problems in queer populations, and found that much of the research from the past six years shows sexual minorities to be more at risk, especially sexual minority men. 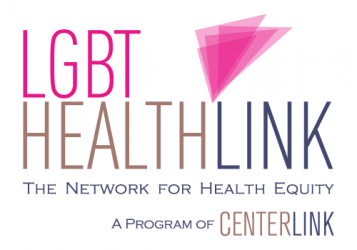 While these disparities have been relatively well-documented, few have looked at how to treat and prevent eating disorders in LGBT people. The American Journal of Public Health published several perspectives on the importance of LGBT-inclusive data gathering in public health, including one article on the importance of this issue for LGBT older adults, whose needs can be made invisible without data. Another article explored growth in those identifying as LGBT, especially among youths, women, and minorities. Speaking of data, Wired published a story on some of the challenges in designing healthcare records systems that capture gender identity and sexual orientation, ensuring that the information is used to provide LGBT patients with quality care. The article looks at how the major healthcare technology company Epic worked on reforming its system and educating those who use it. Next Post This Week’s LGBT Wellness is “Jazz-ed” Up!